Level One at Electra House has a new chef at the helm. Head Chef Josh Kim specialises in Asian fusion menus and has worked at many big name restaurants during his time in Sydney. With his new role at Level One, he’s created a new menu that represents himself. Tonight, Adelaide Food Central was invited to celebrate the launch of the new spring menu. Paired with cocktails using Never Never Distilling Co. gin, beer from Mismatch Brewing and wines from Chaffey Bros and Vinterloper, all the invited guests were set for a great evening. 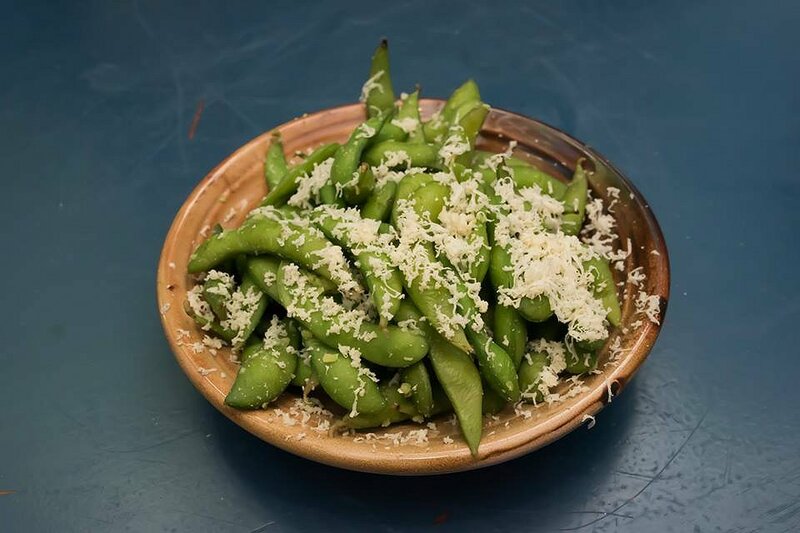 We started off the night with Steamed Edamame topped with wasabi salt and fresh horseradish. A nice take on the Japanese snack with subtle hints of wasabi on the beans. A favourite on the table were the Housemade Wonton. A juicy combination of pork and prawn were wrapped in perfectly cooked wonton skin. 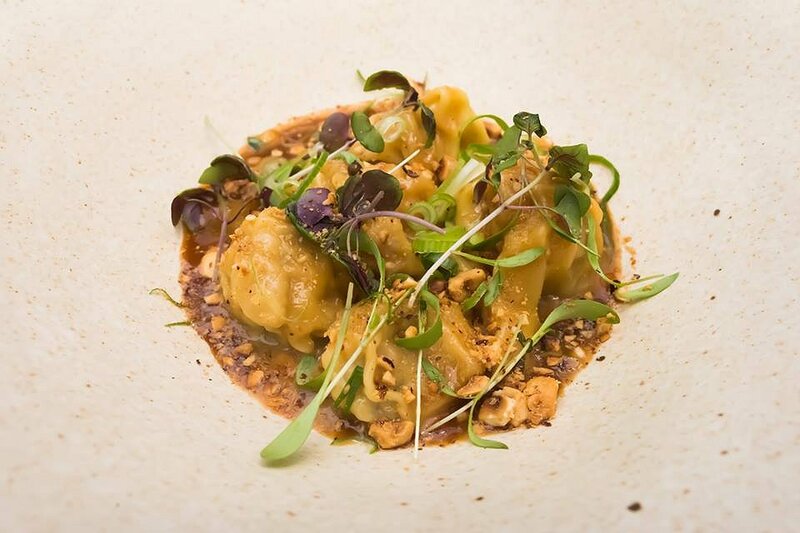 A savoury sauce made from shio goma (shiso sesame salt), sichuan oil and hazelnut elevated the dish to the next level. We don’t normally make friends with salad but we’ll gladly make friends with the Korean Tong Ho Salad. 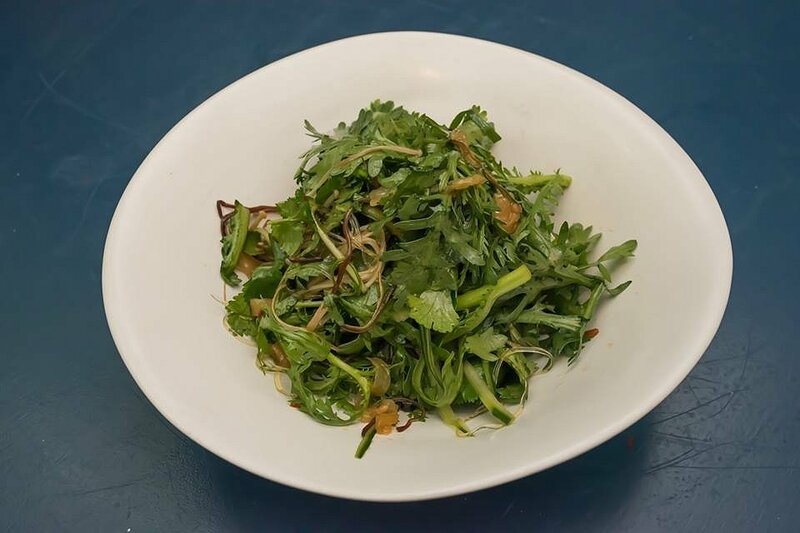 Among the generous amounts of tong ho were fresh coriander, strips of jellyfish, enoki and woodear mushrooms. With just the right amount of dressing applied, the bitterness of the greens were well balanced by the earthiness of the mushrooms. 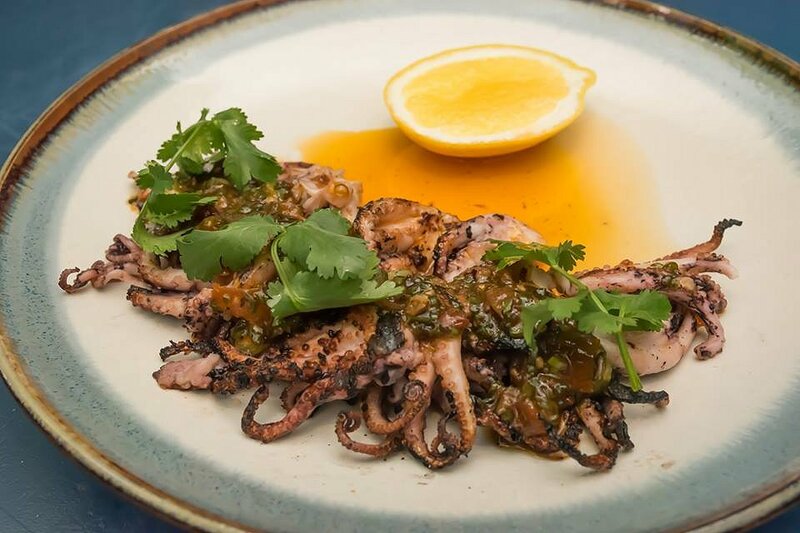 Another highlight of the night were the Grilled Baby Octopus with XO dressing and pickled snake bean. The octopus was charred on the outside and still perfectly cooked. The dressing was sweet and best described as an Asian salsa verde. With the octopus, it was a match made in heaven. We’ve never been fans of San Choi Bao, but this Pork San Choi Bao we really liked! 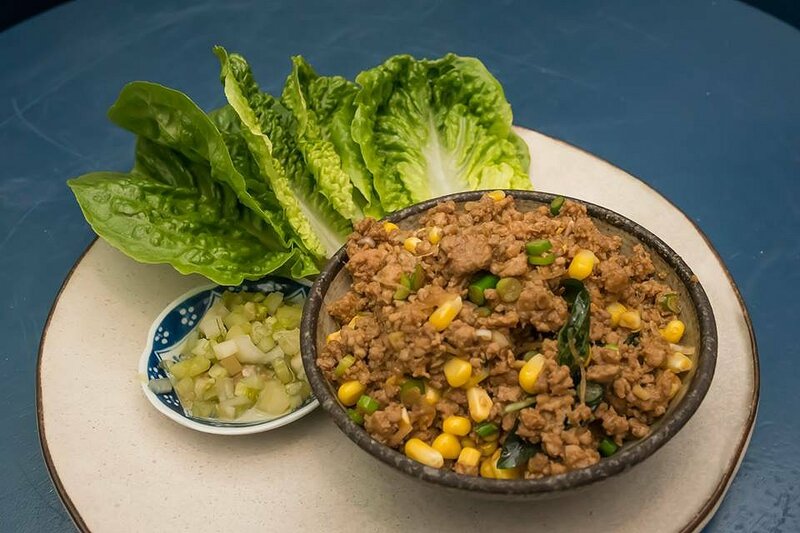 The filling was a mixture of minced pork, sweetcorn, garlic and Thai basil. It was sweet and reminded us of a Korean bulgogi. The filling was well balanced with the green pickles on the side, and the whole process of wrapping the filling in cos lettuce was not only enjoyable, it was delicious. We were fortunate enough to be sitting next to My Butcher, the supplier of the lamb in the next dish. 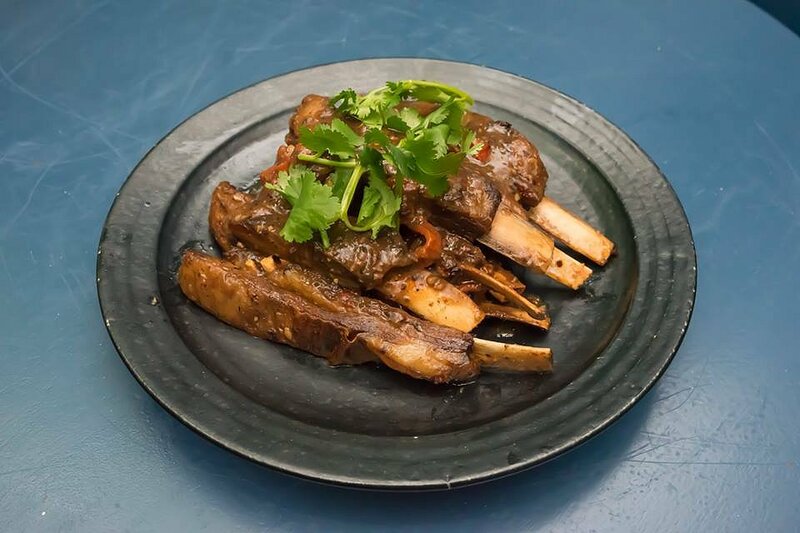 The Master Stock Lamb Ribs were cooked in a black bean sauce and sundried tomato. The ribs were surprisingly meaty, and the meat simply fell off the bone. The blackbean and sundried tomato was like an east meets west combination, which was clever because it worked. 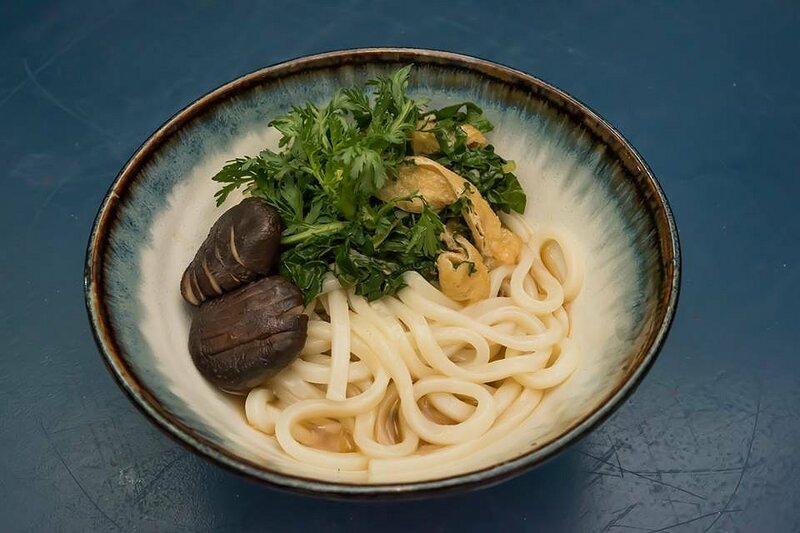 If you’re looking for a rustic Japanese style dish, then the Silverbeet Kake Udon is for you. Soaked in the soy based broth were perfectly cooked strands of slippery udon noodles. The slight bitterness of the leafy silverbeets were balanced by the earthiness of the mushrooms. A perfect dish for a cold evening. Now for desserts! Yes, plural! First up, the Baked Cheesecake made from sweet potato. We love baked cheesecakes because of their smooth, thick consistency. The sweet potato added a natural sweetness which made it even better. 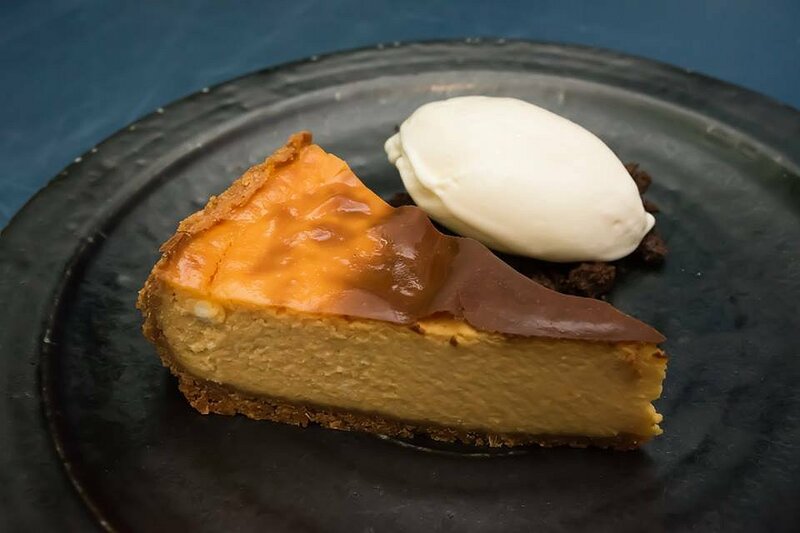 The yoghurt ice cream was sour and balanced the sweetness of the cheesecake, while the crumbled biscuit added a crunchy component to the dessert. 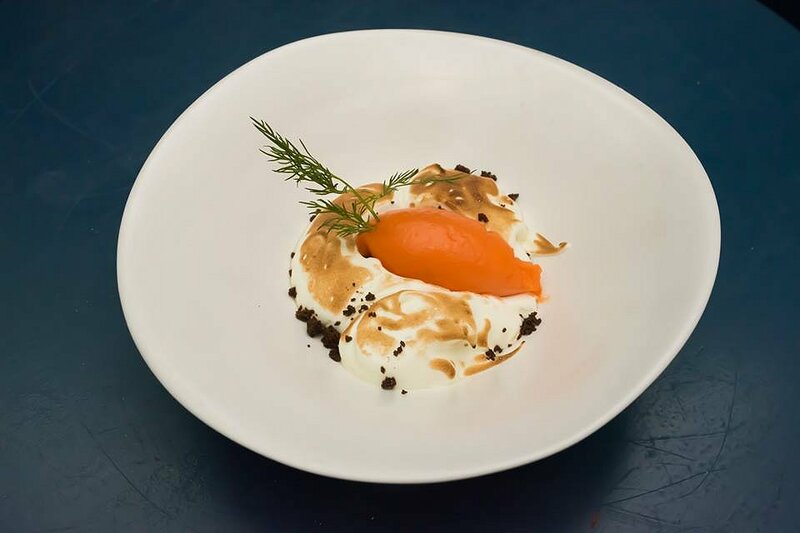 Last but not least was the Carrot Sorbet with lemon myrtle meringue, chocolate soil and dill. The carrot sorbet tasted just like carrot, while the soft and delicate meringue had a strong ginger flavour. If you want vegetable flavours in a dessert then this is it! Level One at Electra House has won numerous awards including Best Asian Restaurant this year. The food is innovative, fresh, flavoursome and delivered in a well-informed manner, ultimately living up to their reputation. A wonderful evening was had by all. Level One is open Tuesday to Saturday with dinner service from 5pm until late and Friday lunch from 12pm.